NFL: Is Jimmy Garoppolo the Next Matt Cassell or the Next Steve Young? 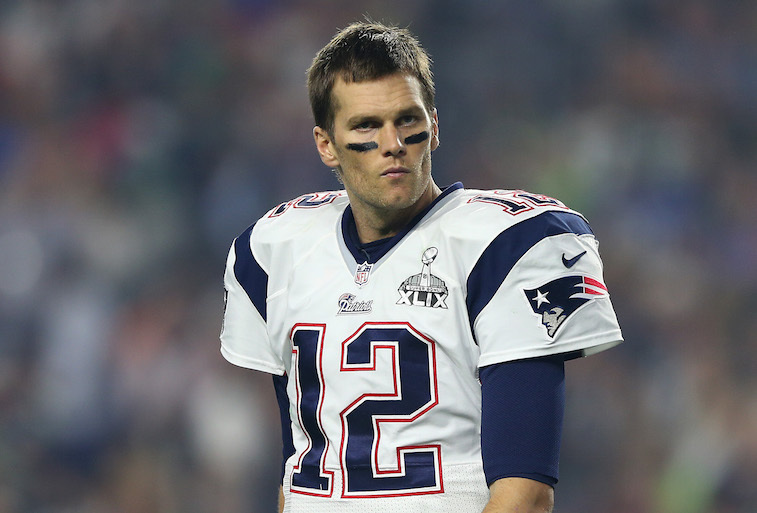 New England Patriots quarterback Tom Brady has officially had his appeal denied by NFL Commissioner Roger Goodell. Assuming that nothing changes following his settlement hearing on August 12, this means that the four-time Super Bowl-winning signal caller will indeed be suspended for the first four games of the 2015 NFL season and the Patriots will begin their Super Bowl XLIX title defense without the best player in franchise history. 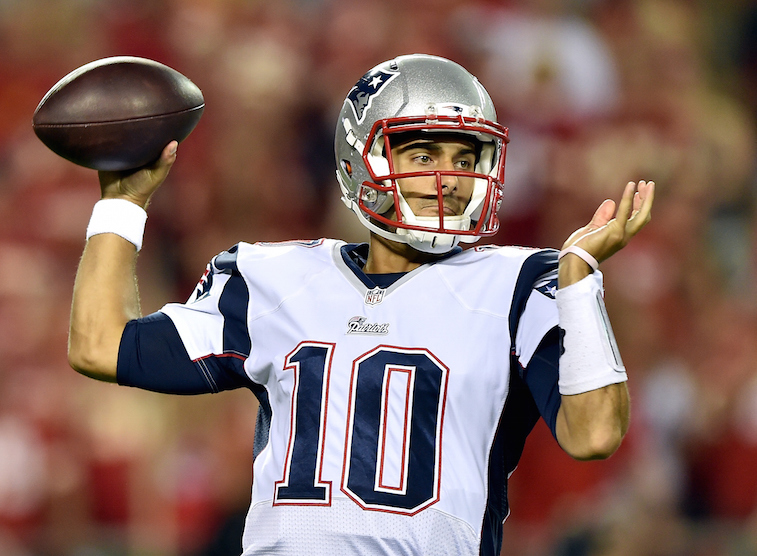 The man who will step in for Brady during his suspension is second-year pro Jimmy Garoppolo. The Patriots select Garoppolo out of Eastern Illinois in the second round with the 62nd overall pick in the 2014 NFL Draft. After winning the Walter Payton Award as the most outstanding player in the Division-I Football Championship Subdivision, Garappolo went on to have an excellent week of practice at the Reese’s Senior Bowl in Mobile, Alabama, and secured his place among the top quarterbacks available in the 2014 Draft. New England head coach Bill Belichick saw enough potential to use an early pick on Garoppolo despite having arguably the best quarterback to ever play in the NFL already on his roster. As a rookie in 2014, Garoppolo saw very limited duty. As the Brady’s primary backup, the 23-year-old quarterback saw action in six games completing 70.4% of his passes for 182 yards and one touchdown with a quarterback rating of 101.2. Those numbers are solid, but given the small sample size, they are simply not enough for us to confidently say that he will be an adequate replacement for Brady – even if it’s only for four games. The last time the Patriots were without Brady for an extended period of time was in 2008 when Matt Cassell stepped in after Brady tore his ACL in the team’s Week 1 game against the Kansas City Chiefs. Cassell went on to have a Pro Bowl-caliber season for the Patriots that year, which led to him landing a six-year, $63 million contract with the Kansas City Chiefs prior to the 2009 season. As it turns out, Cassell’s massive success with the Patriots in 2008 proved to be a bit of a fluke, and the former USC Trojan is now in a three-way competition to be the starting quarterback for the quarterback-desperate Buffalo Bills. Garoppolo is already drawing comparisons to Cassell simply because they both have played for the Patriots and they both have backed up Brady. If things go extremely well for Garoppolo during his stint filling in for Brady, he could very well be on track to have a career that compares to that of Hall of Fame quarterback Steve Young. In case you are unaware, Young spent his four seasons with the San Francisco 49ers backing up Joe Montana, another four-time Super Bowl-winning quarterback and one of the greatest players the game has ever seen. Garoppolo is long ways away from even being mentioned in the same breath as Young, but you cannot deny that there are several parallels that are clearly already in place. If he can successfully fill in for Brady this season, then eventually carry on the team’s current dynasty when Brady calls it quits, Garoppolo could very easily go down as a Steve Young reincarnation. Only time will tell how Garoppolo’s career will play out, but the fact of the matter is that it is highly unlikely that he will achieve the same levels of success that Young did during his career. With that being said, he has an excellent opportunity in 2015 to get his career trajectory going in a positive direction.